Why the Reverse Cycle Split System LG 2.5 Kw? When summer comes around there is usually extreme heat and sometimes great discomfort due to the persistent, oppressive heat. In some countries, the heat is very dangerous and has led to lives being lost. Enter air conditioning systems in general and split system air conditioners in particular. Reverse cycle air conditioner systems like the System LG 2.5 Kw are a great way to ease the heat and restore some amount of comfort to your body. Not only are the reverse cycle air conditioner systems convenient, but many people are deciding to purchase these units, mainly because they are very keen on energy conservation and cause you to lots of money. There have been many positive reports and reviews from several clients concerning the reverse cycle air conditioners, as they are said to be the leaders in saving energy and maintaining extreme comfort. 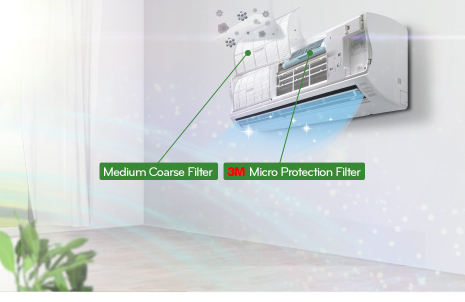 Reverse cycle split system air conditioners, of which the system LG 2.5 Kw is one, are actually heat pumps. They draw heat from the outside and deliver it to your room. A heat pump’s external coil becomes the passageway for a refrigerant to absorb the outside heat. The refrigerant is pumped into a compressor and delivered through a condenser inside your room. Your usual electric heater, on the other hand, directly produces heat into your room. Ducted air conditioning systems of the reverse cycle type such as the System LG 2.5 Kw meanwhile, are usually installed in bigger homes and structures that require central heating and cooling the entire place or several rooms simultaneously. Finally, system LG 2.5 Kw split air conditioners systems are permanently mounted on the wall, the floor, or the ceiling. The compressor is stationed right outside the house, while the condenser is inside. Its refrigerant travels through its piping. Since it has its compressor and condenser located separately, a split system is more expensive than a standard window- or wall-mounted unit, but it operates with much less noise. If your location is characterized by extreme temperatures, a heat pump will not only help you save on your electric bills, but also the environment. Just make sure that you check your house’s requirements and choose the type of reverse cycle air conditioning system that would best address them. The reverse cycle system LG 2.5 Kw would comprise a perfect choice bar none. LG 2.5kW Reverse Cycle split system air conditioner has Active Energy Control allows the user to adjust the energy levels to improve cooling efficiency and reduce power consumption. DUAL FILTRATION SYSTEM: The first medium coarse filter captures dust size over 3µm. The second filter captures microscopic particles down to 0.3µm in size. SLEEP MODE SOUND LEVEL: The low noise level in sleep mode creates a quieter sleeping environment. R09 & R12 models achieve 19db, a noise level which is lower than that of a library. WI-FI SMART CONTROL: LG Smart AC app lets you access and control your air conditioner using your smart phone. Wi-Fi Smart Control can help you to keep your running costs down, providing you with energy usage information in real time and alerting you when your electricity consumption is about to reach pre-set limit.